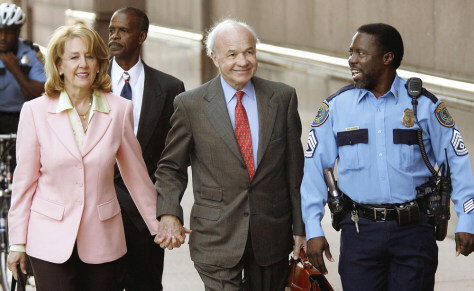 Ken Lay walks with his wife Linda and Houston Police officer K.R. Perkins into the U.S. Courthouse in Houston on Monday morning.